La création d’un article avec Joomla! n’a jamais été aussi facile ! Putting the U in Community! Nominate Joomla! for the CMS Critic’s People’s Choice Award! Dando soporte a extensiones Joomla! J and Beyond, an International Joomla! Conference, is back for a fourth year. 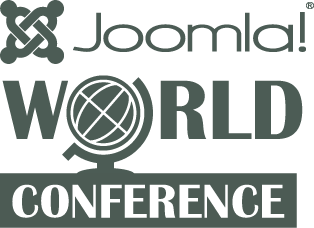 J and Beyond is one of two big international Joomla conferences every year, with the Joomla World Conference being the other. Why Come to J and Beyond? AND most importantly – to have fun! The J and Beyond team are excited to have such a great and varied lineup of Keynote speakers including Pierre Joye from php.net who has made over 6000 commits to php.net. It’s not just about the code – it’s about the relationships that are made. Chiara Aliotta will be speaking about the relationship between the designer and the developer and Xavier Dutoit will be there to build bridges between the Joomla and CiviCRM communities. David Hurley (community development manager) and Andy Tarr (PLT) will be speaking on what have we accomplished in the past few years? Where are we in the current state of the web? Where are we going? Click here to find out more about our keynote speakers. Well almost. The early bird ticket sales end at the end of April and with the money you save you can buy more beer (or soda). Do you have something to say or share? You can only win a speaker slot if you enter the competition. If you were waiting for an invitation to speak: THIS IS YOUR INVITATION. Submit your session proposal today. The deadline is the 15th April (no exceptions). We want you to present. Click here to submit your sessions today! Join us for three days of information, discussion and new ideas. You can attend presentations, participate in workshops and lots of fun is guaranteed. This is not a one-way presenter-to-attendee conference – you will be involved in sessions and discussions, and have the opportunity to give your own presentation if you wish. Joomla!’s awesomeness lies in its great community, we are all working together to build a bright future for the CMS we all love. Don’t wait! Buy your ticket for the Joomla! World Conference now! 43 queries. 7.75 mb Memory usage. 0.444 seconds.